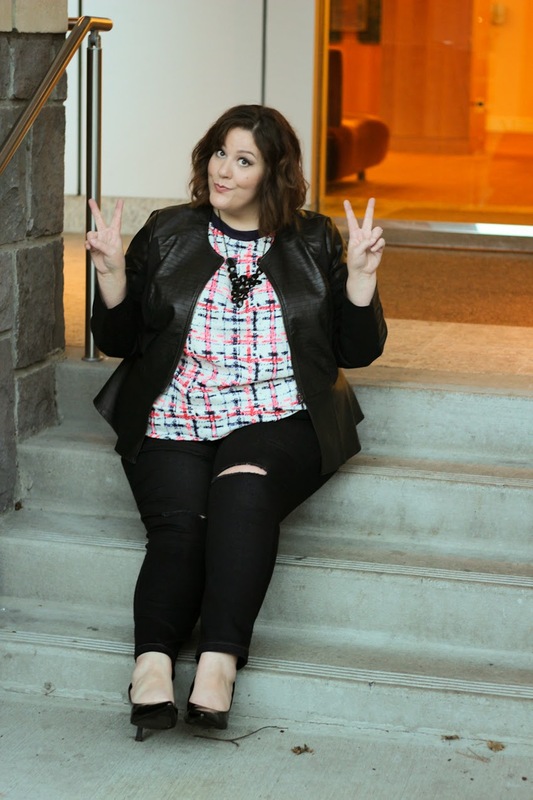 The perfect plus size black ripped knee skinny jean! These pants are amazing!!!!!! THANK YOU SIMPLY BE. I can't stress that enough. If you have my shape, big bum and like the skinny leg and always battle the stretch out and want to curse everything in life - these pants will bring you a smile. They are utter perfection. Little bit of stretch out, but nothing crazy at all, actual pockets, no ink rub off (hate that more than life). I'm a true 26/28 and these are absolutely on size. I ordered a 28 and wish they could have been a SMIDGE smaller, but honestly - happy camper here. I added this super cool neon top, also from SimplyBe, that has spoke to me forever but I could never pull the trigger, but figured, what the hell. I'm glad I did, I really do like it although it is way long in the back so when I wore with this jacket, I just tucked in the back as it looked crazy. But, with no jacket - leaving out looks great. 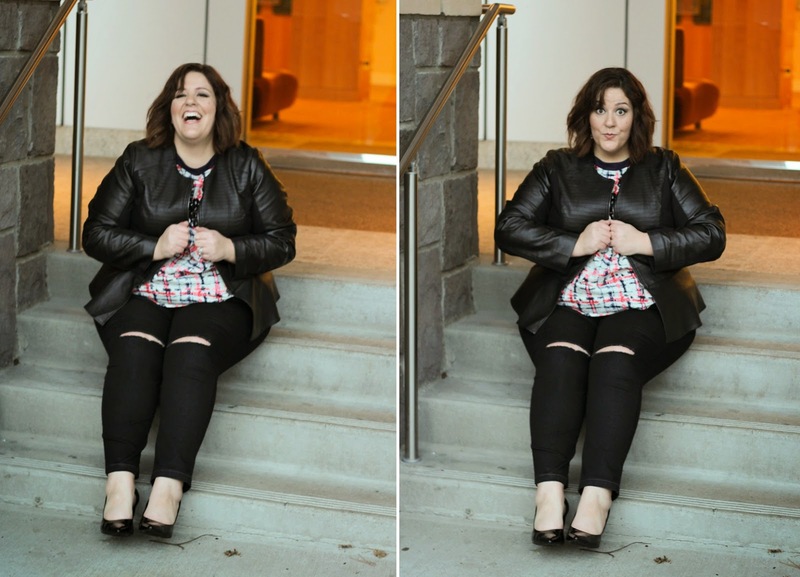 Thanks to my blogger buddies for helping me takes these pics! Rachel from Lovely in LA took the inside ones and Meghan from Beauty by Meghan took the outside ones :). Top and Pants gifted by SimplyBe. All opinions expressed are my own!